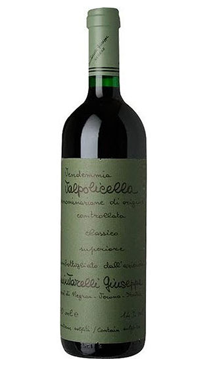 A blend of the three classic Valpolicella grapes; Corvina, Rondinella and Molinara. The grapes are hand harvested and and pressed immediately afterwards. A 3-4 day maceration and fermentation starts with indigenous yeasts. The wine is racked and then sits until February. The wine is then racked onto the lees of grapes used for Amarone which starts a second fermentation (the ripasso process). After this fermentation, the wine is racked into large Slavonian oak barrels to develop for seven years.